A judge will sentence him to three to five years in prison. 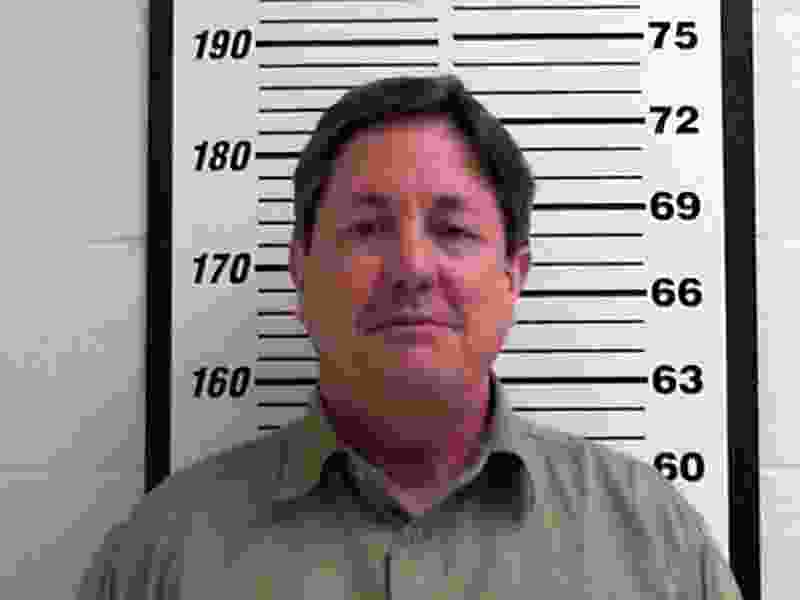 Lyle Jeffs, the lead defendant in what prosecutors have called a conspiracy by the polygamous FLDS church to defraud the food stamp program, pleaded guilty to two charges Wednesday. Jeffs, 57, pleaded guilty to one count of defrauding the Supplemental Nutrition Assistance Program (SNAP) and one count of failure to appear in court. A money laundering count was dismissed as part of a plea deal. Sentencing is scheduled for Dec. 13. As part of the plea agreement, U.S. District Judge Ted Stewart will decide whether to sentence Jeffs from anywhere to two to four years in prison on the SNAP fraud count. The agreement calls for Jeffs to serve one year in prison on the absconding count. The sentences will be served consecutively. Jeffs also must pay $1 million in restitution. “I don‘t think he has it, but if he does, we will find it,” John Huber, the U.S. Attorney for Utah, said of the restitution funds after the hearing. Huber said the money will be paid to the federal government. 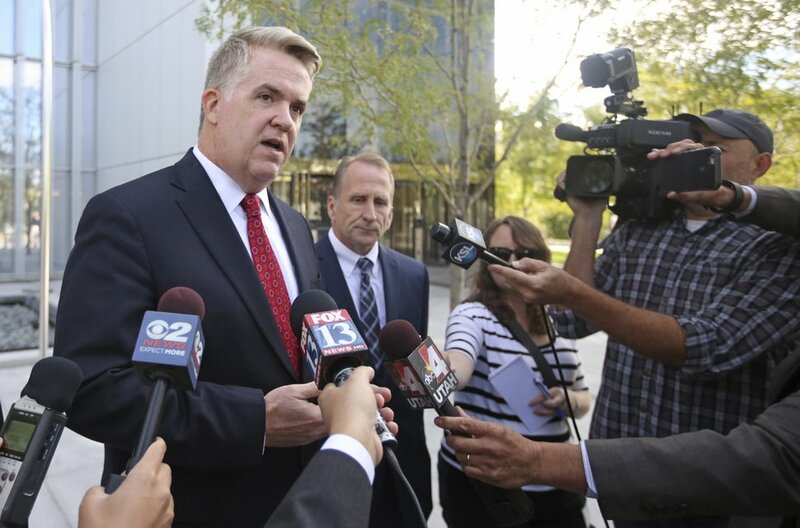 Speaking to reporters outside the federal courthouse in Salt Lake City, Huber said he did not want to call the plea agreement a “deal,” but rather a “compromise.” He noted both sides won and lost motions in recent weeks that would have determined what jurors were allowed to hear about the case. Huber maintained Wednesday that the FLDS effort to combine and convert SNAP benefits — which prosecutors said amounted to $12 million in fraud — took food from hungry people. Jeffs, meanwhile, was accused of eating steak and fish. Jeffs’ attorney, Kathryn Nester, declined to comment Wednesday. 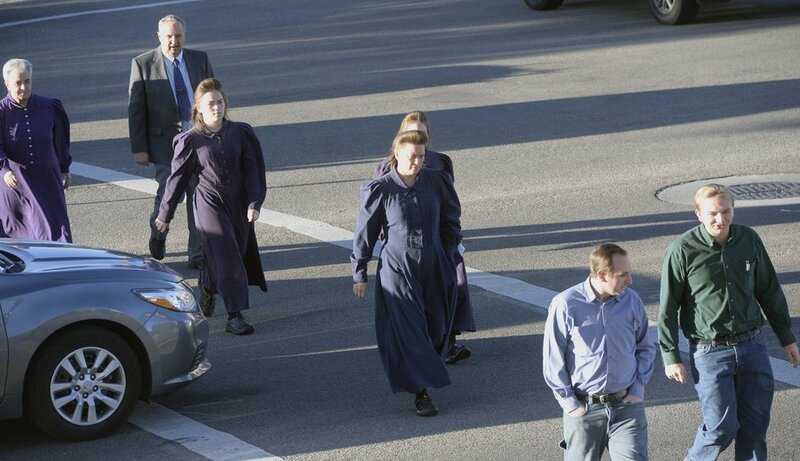 No FLDS appeared in the courtroom Wednesday. In phone interviews after the hearing, parishioners expressed support for Jeffs, who for years held the title of bishop of Short Creek — a reference to the FLDS’ traditional home in Hildale, Utah, and Colorado City, Ariz.
“He’s a good man,” said Esther Bistline. Bistline said Jeffs had a good knowledge of the gospel of Jesus Christ and treated her family well when he was bishop. Two of Jeffs’ family members who have left the FLDS on Wednesday said they had wanted more prison time for him. Matt Jeffs, one of Lyle Jeffs’ 60 or so children, said his father has committed lots of crimes, such as money laundering and obstruction of justice, for which he has never been charged. “I don’t know what a better term would be, but he’s seriously messed up in the head,” Matt Jeffs said. Wallace Jeffs, one of Lyle Jeffs’ half brothers, said the guilty plea itself could have a bigger impact on the FLDS than the prison time his brother must serve or the restitution he must pay. “It now validates everything people have been saying about the church — that they’re doing these things,” Wallace Jeffs said. Jeffs is a full brother of imprisoned Warren Jeffs, the president of the Fundamentalist Church of Jesus Christ of Latter-Day Saints and who is serving a sentence in Texas of life plus 20 years in prison for crimes related to sexually abusing two girls he married as plural wives. Lyle Jeffs ran the day-to-day business of the sect. 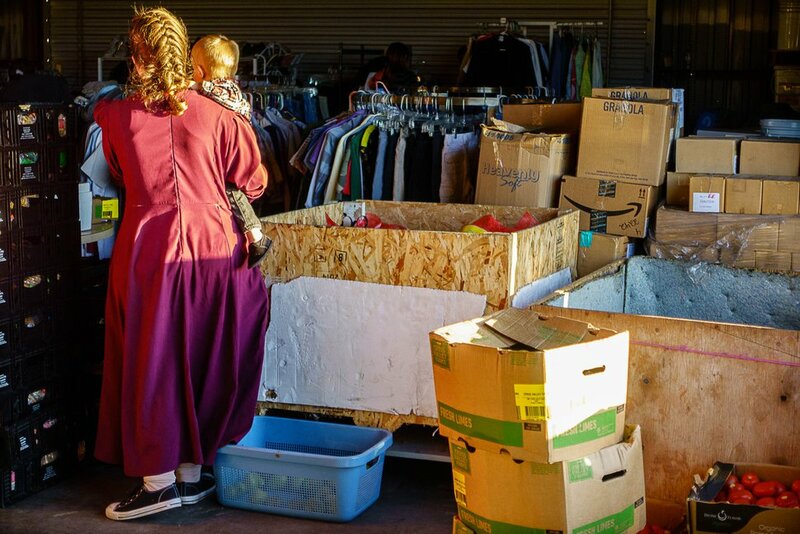 Prosecutors contend Lyle Jeffs pressured or ordered FLDS members to turn over the food they purchased with SNAP debit cards to the church or to swipe the cards at two church-controlled groceries so the benefits could be converted to cash. Jury selection for Lyle Jeffs’ trial was scheduled to begin Oct. 19. Jurors at the monthlong trial were expected to hear letters and dictations from Warren Jeffs, who established a United Order where parishioners were required to donate their income and belongings to the church or at least provide an accounting of it. The SNAP fraud or donations — depending on whether you side with the prosecution or defense — were part of that effort to live communally. Defense attorneys have described the donation of food purchased through SNAP as akin to taking a covered dish to a church potluck. Stewart, the judge, had said he would instruct the jury that only people authorized to have SNAP cards may use them, but there is no law or regulation against donating purchased groceries. Trent Nelson | The Salt Lake Tribune People looking through donated goods at Southwest Recovery Mission Ministries in Apple Valley, Thursday February 25, 2016. The organization provides donated food to families in Hildale, Utah and Colorado City, Arizona. A similar ruling last year persuaded prosecutors to offer plea deals to the co-defendants. Only two pleaded guilty to felonies — John Wayman, another former FLDS bishop, and Seth Jeffs, another full brother to Lyle and Warren. They received credit for time served and were released from jail after entering their pleas. Those agreements were made while Lyle Jeffs was on the run. In June 2016, Jeffs slipped off his ankle monitor and absconded from pre-trial release. He was arrested almost one year later in Yankton, S.D. Huber and the lead prosecutor on the case, Robert Lund, maintained no deal for Lyle Jeffs would be so generous; he would have to serve time in jail or prison for his role in the alleged fraud and for absconding. Jurors also were expected to hear about a dispute Lyle and Warren Jeffs had while the former was on pre-trial release. Prosecutors and the FBI have said Lyle Jeffs absconded after the falling out with his brother, which also resulted in him being removed as bishop. The defense had sought a separate trial on the fleeing count, arguing jurors deciding the fraud and money laundering charges would make inferences when they learned Lyle Jeffs absconded. Stewart denied that motion, ruling any potential prejudice did not outweigh the convenience of having one trial. Lyle Jeffs once had nine wives, according to family members. His legal wife, Charlene Wall, divorced him in 2015. A plural wife, Christine Black, is seeking child support from him through the state of Utah, according to filings in state court.